You’ve probably seen this little patch from the I-15. The good folks at Norris Amusement can be seen out there every Halloween with pumpkins and at Christmas time with a tree lot. They have a lot of pumpkins, small rides for the kids, and other entertainment. Get off at HWY 74 and turn left at Dexter, right behind the Burger King. The good folks at the Wickerd Farm have been bringing some of the best pumpkins to the area since 1991. They are open everyday from 10-8 and until 9pm on Friday and Saturdays. For next weekend they will have jumpers for kids, local vendors and food. There will also be a pumpkin pie eating contest and costume contests. Haunted Hayrides start at 8pm. Get more information and driving directions on the Wickerd Farms website. 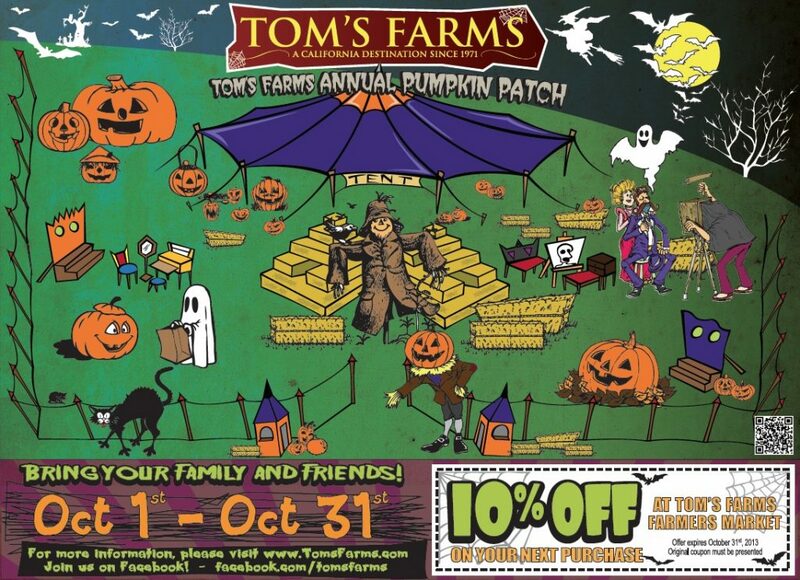 Tom’s Farms has a great pumpkin patch every year and with all the other attractions at this local farmer’s market, you could spend the whole day there. The pumpkin patch is open every weekend and there is even a pumpkin carving contest this weekend. 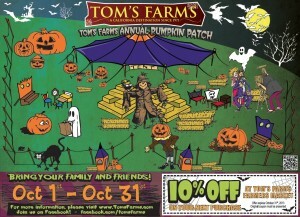 Open every day from 10am to 9pm at the promenade mall Hunter’s Pumpkin Patch is a great time for everyone. They have a huge inflatable slide that you can’t miss and there is so much more… tractor rides, petting zoo, hay maze and inflatables. And of course, there are lots of pumpkins. Big Horse Feed and Mercantile offers a one of a kind experience with an 11 acre corn maze – one of the only corn mazes in Southern California. This weekend, you can take the kids for pony rides, jump in the “corn box” or try pumpkin bowling. Open weekdays from 1-5 and weekends from 10-4. Check the Big Horse Corn Maze website for details. 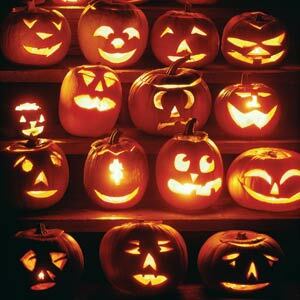 Want some tips on carving a pumpkin? These are pretty easy instructions to follow.